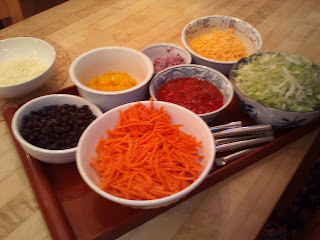 We had so much fun the other night "building our own" tacos. They were even vegetarian! 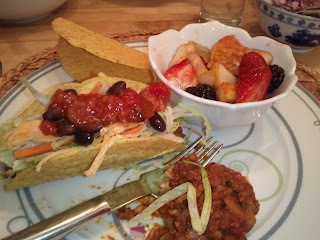 Everyone loved them and thought it was a lot of fun putting together the tacos as they wanted. Each taco could be different and they got to choose! There were lots of smiles and laughter. We even imagined this could be a fun dinner to have when friends are over. The key is picking healthy filling toppings. As you can see, there are a lot of shredded and sliced vegetables. There is no guacamole or sour cream. It makes a big difference. But the fun and satisfaction are no less without them...in fact, they many even be better because you feel healthier and you don't have to worry about over doing it! The best way to be when enjoying a meal with family and friends. Calories for two filled to the brim tacos are 334. 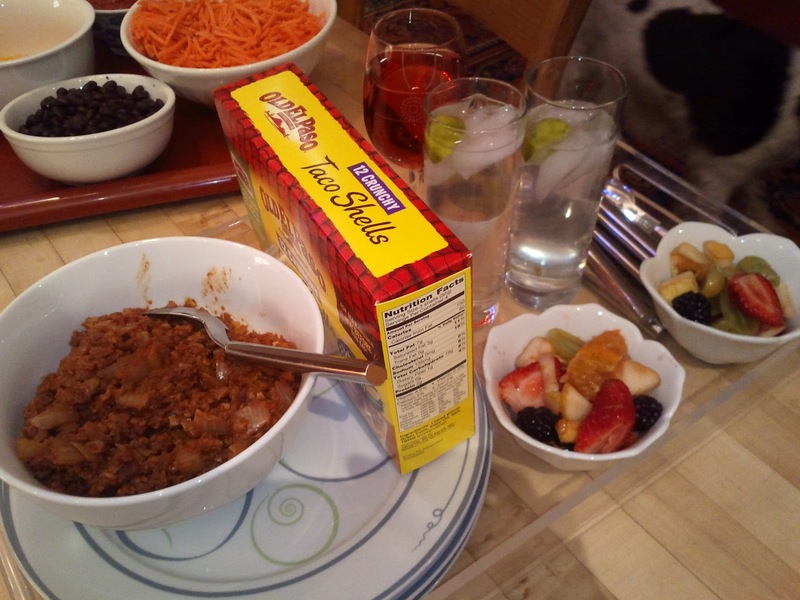 I paired this with a 5 fruit salad (1/2 cup = 81 cal). The total calories for the meal were 415.